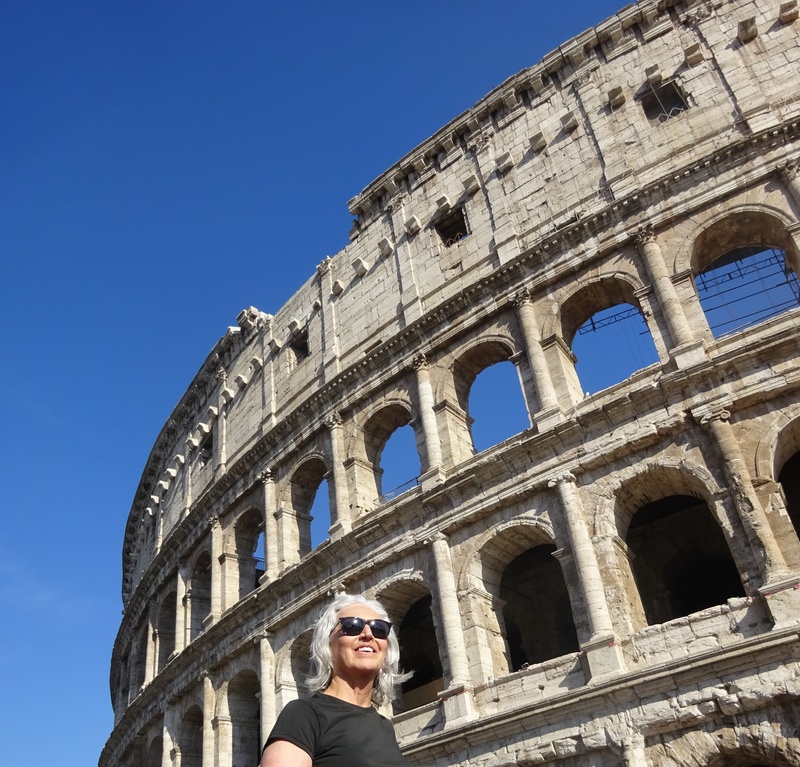 Thursday, I enjoyed an all-day bicycle tour of many of Rome’s famous historical monuments! It was a small group of three led by our Italian guide, Emanuele. The other two members of the group – Conor and Cara – were Americans from New York City traveling through Italy for several weeks. On their way to Rome they visited Milan and the Amalfi Coast, and were headed to Florence and Venice before returning to NYC. I thoroughly enjoyed their company and we could not have had a better guide. 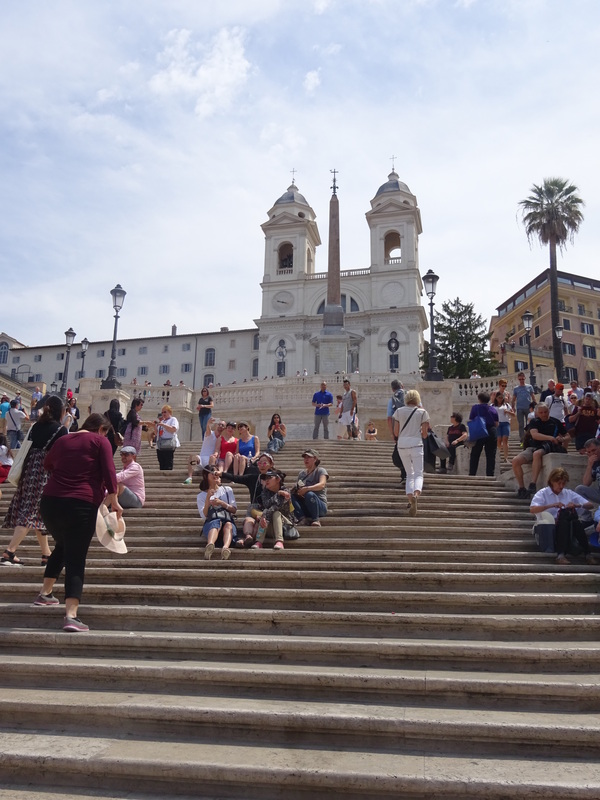 I was uncertain about the bicycle adventure, but the day exceeded my expectations and was a perfect orientation to Rome. After a brief lesson on riding the electric bikes, we began the tour at 10 am and ended at 6 pm. The fun day passed quickly! We stopped for an occasional photo, sipped needed espresso at cafés, enjoyed a delicious lunch, and cooled down with gelato. The e-bikes were easy. You must pedal and control the gears, but they provide an uphill “boost” when needed. 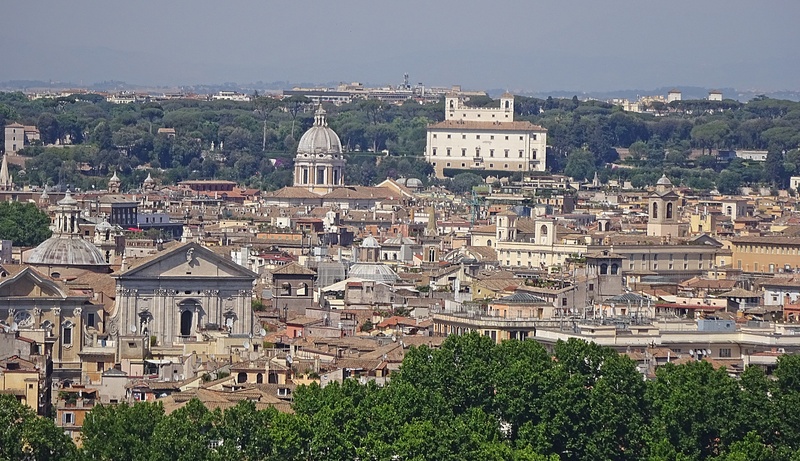 To avoid Rome’s aggressive city traffic, for most of the tour Emanuele led us through less-traveled cobblestone backstreets with interesting Palazzo style facades, flowered window boxes, and wonderful Italian names. Bicycling Rome’s main roads can be dangerous. It’s challenging dodging joggers, dog walkers, groups of dizzy preoccupied tourists, motorcycles, and automobiles. 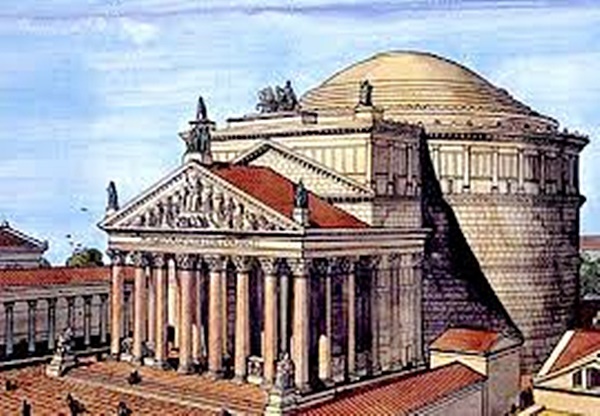 Emanuele gave an excellent commentary about Rome’s many treasures – enough detail but not too much. My only regret was not being able to photograph the gorgeous backstreets – impossible while riding a bike. Hopefully I can leisurely retrace the backstreet trail before leaving for Istanbul. Each of the sites has its own legends and history – too much for this blog. 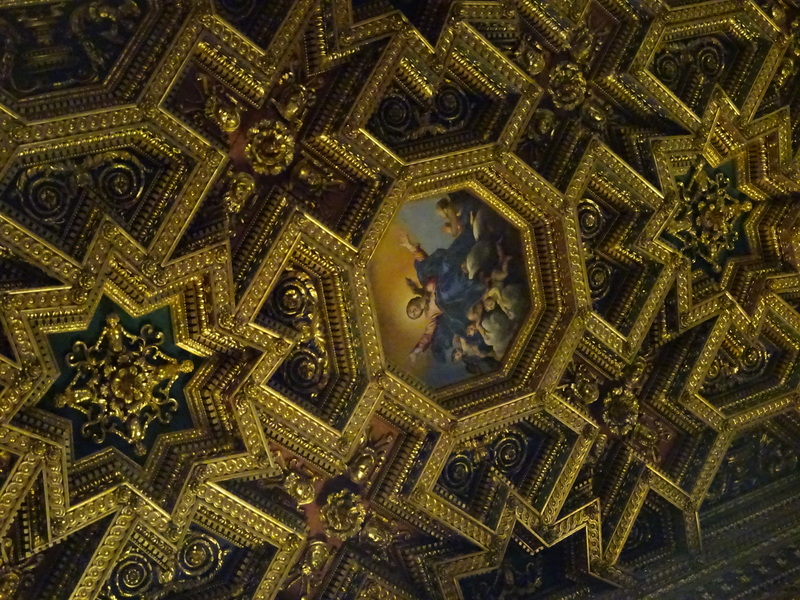 A few photos are attached, but with our fast pace there wasn’t time to contemplate photography. 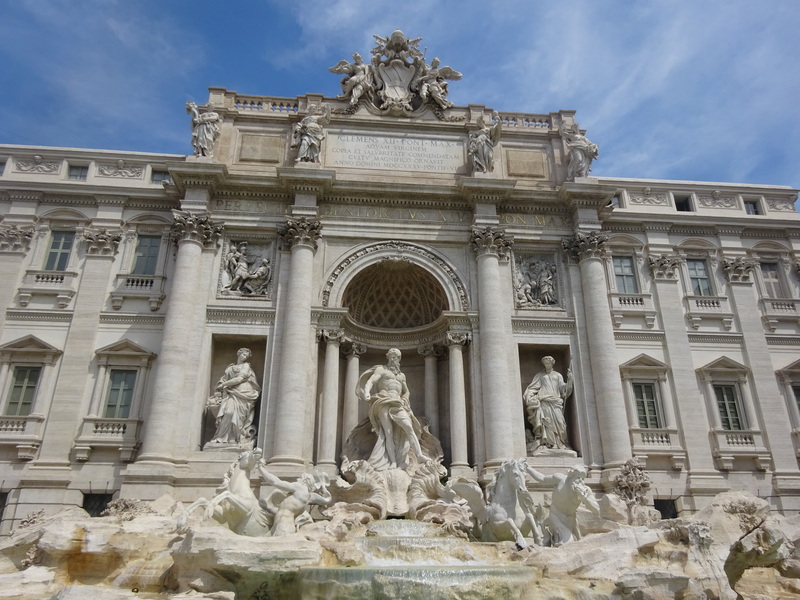 La Fontana di Trevi is an incredibly beautiful masterpiece – impossible to capture in a photo. You must see it from every angle! 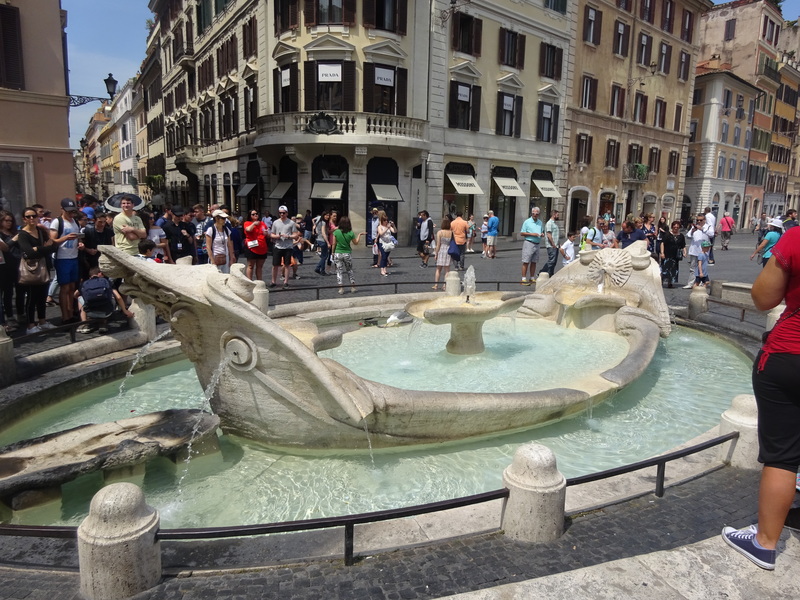 The fountain’s travertine was recently cleaned by Fendi making it even more striking. I threw a coin into the fountain from the right hand over the heart and left shoulder. 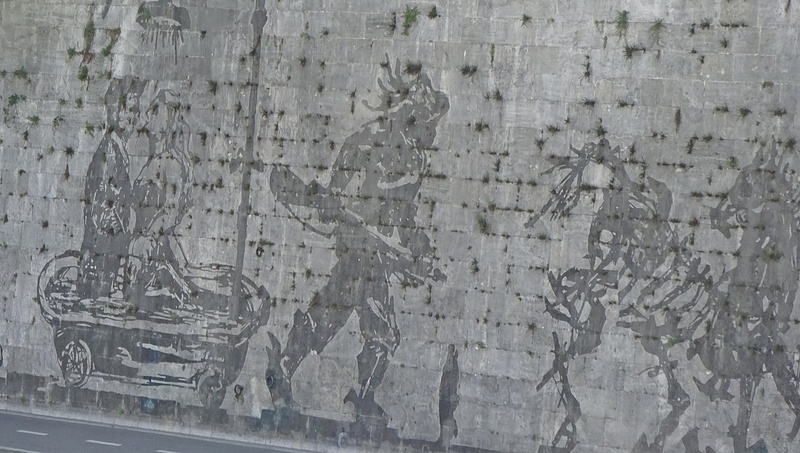 One version of the Trevi Fountain myth, is that tossing a coin into the fountain ensures you’ll return to Roma. That works for me! 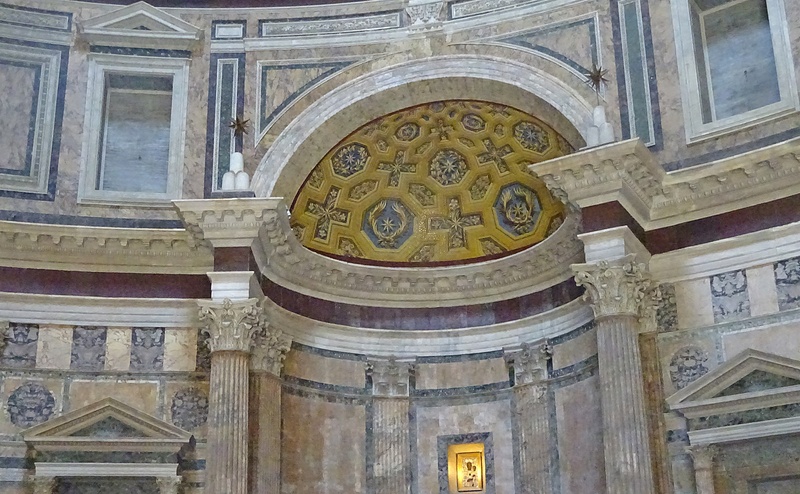 One of my favorite churches was Santa Maria dell’Anima near the Pantheon. 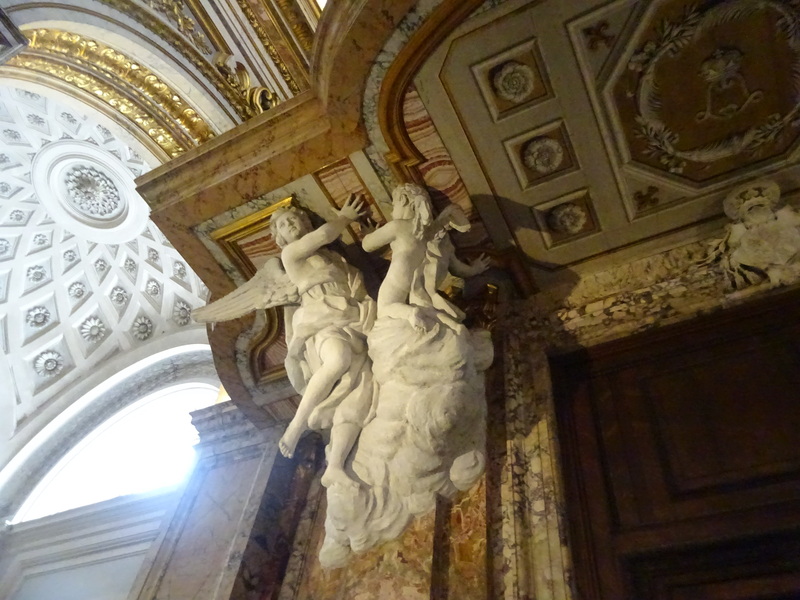 An unassuming building from the outside, the church has many chapels with magnificent frescoes, paintings, and sculptures by Italian artists like Gian Lorenzo Bernini, considered the most outstanding sculptor of the 1600s. 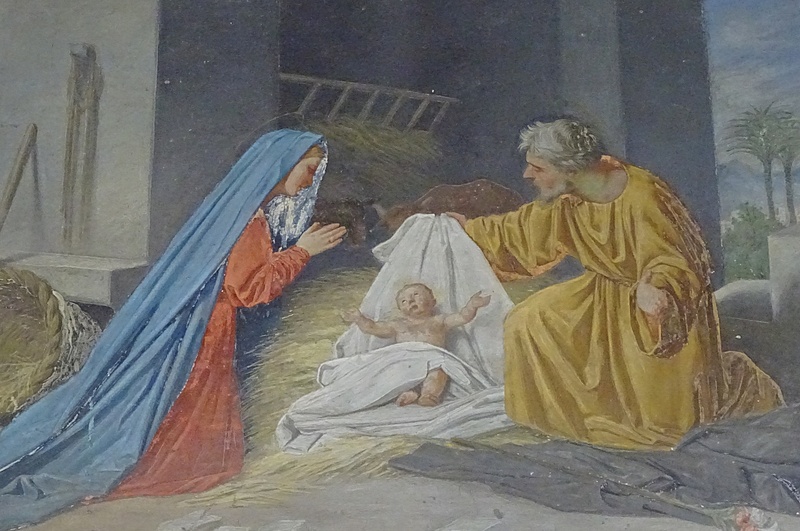 Other Italian artists who contributed to the magnificent artwork include Carlo Saraceni, Giovanni Francesco Grimaldi, Francesco Salviati, and Giuliano Finelli – most of them were new to me. 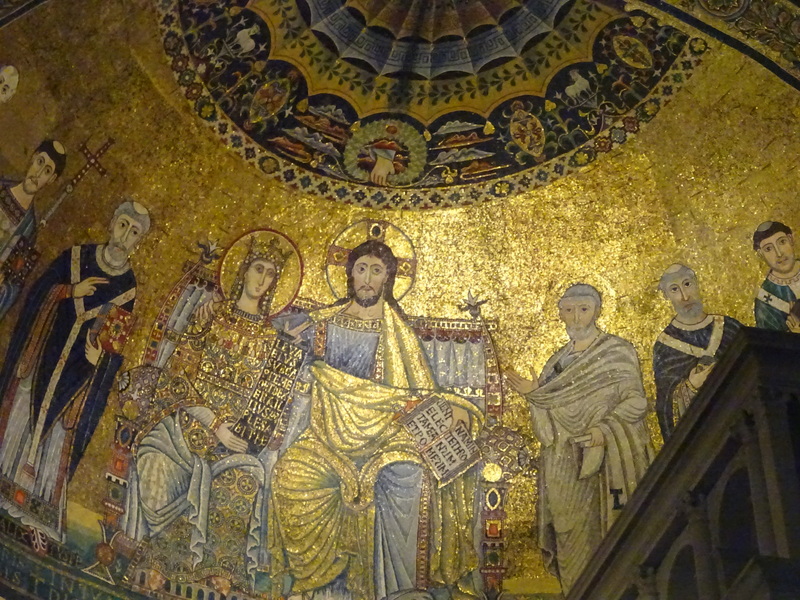 I enjoyed the magnificent mosaics inside the Basilica di Santa Maria in Trastevere. 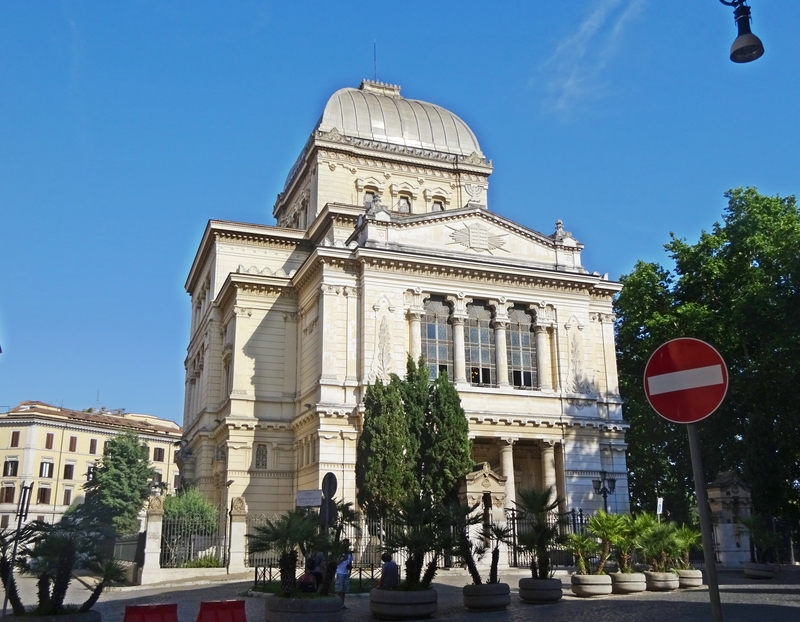 The Basilica is at Piazza di St. Maria where exterior renovation of the façade and bell tower is in process. Basilica art is generally breathtaking but it’s a challenge taking photos because of the darkness, altar candles, and light from the impressive domes and stained-glass windows. The atmosphere is magic. Later in the day we saw black smoke billowing from what looked like the heart of Vatican City. It turned out to be a junkyard fire nearby. The fire “spread through scrapped cars, exploded gas tanks, and sent a thick, dark plume of smoke through the northeastern quarter of the Italian capital. There were no reports of injuries”. Today is Republic Day in Italy, a national holiday. On June 2, 1946, Italians voted to abolish the monarchy, and the Republic of Italy was born. On Republic Day, the gardens at Palazzo del Quirinale (residence of the Italian President) are open. The president – Sergio Mattarella – presides over a traditional wreath laying ceremony at the Tomb of Italy’s Unknown Soldier of World War I. Afterwards, military bands perform and there’s a huge parade through central Rome along the Via dei Fori Imperiali – a street that runs in a straight line from Piazza Venezia to the Colosseum. Yesterday jets from the Italian air force’s “Frecce Tricolori” buzzed central Rome – a performance like the Blue Angels during Fleet Week in San Francisco. During today’s Republic Day celebration, the squadron will leave a trail of green, white, and red smoke (the colors of the Italian flag) over the Altare della Patria – Altar of the Fatherland. Italy isn’t unlike other countries with political and economic woes. Our guide Emanuele said he preferred not to discuss politics. Later, he couldn’t help voicing his concerns about the recession-plagued country’s growing inequalities between rich and poor, and the corrupt practices of Italy’s government. This is a sad but familiar theme throughout the world. I’m not knowledgeable about Italy’s government, but could tell Emanuele’s concerns were sincere. However corrupt, the current Italian government seems better than the crazed emperor, dictators, and monarchs who ruled the country in the past. 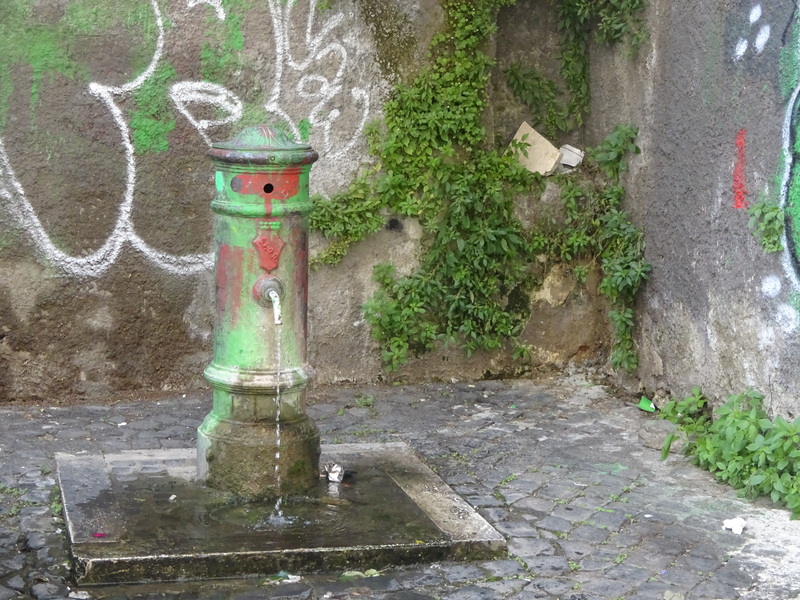 This entry was posted in Rome and tagged Altare della Patria, Basilica of Santa Maria in Trastevere, Baths of Caracalla, Bernini, Chiesa di Santa Maria dell'Anima, Colonna Traiana, Colosseo, Fendi for Fountains, Fontana de Trevi, Fountain de la Barcaccia, Frecce Tricolori, Palazzo del Quirinale, Palazzo Madama, Palazzo Style Facades, Pantheon, Piazza C Marzio, Piazza di St. Maria in Trastevere, Piazza Navona, Piazza San Pietro, Piazza Spagna, Piazza Venezia, Ponte Mazzini, Republic Day Italy, Roma, Rome, Rome Italy, San Pietro in Vaticano, Santa Maria del Popolo, Santa Maria in Trastevere, Sergio Mattarella, TopBike Rome, Via dei Fori Imperiali by suemtravels. Bookmark the permalink. Oh so envious, and so sad I can’t ride a bicycle. It sounds like a big day, but well worth it. You got an inside look that many tourists have no idea exists. 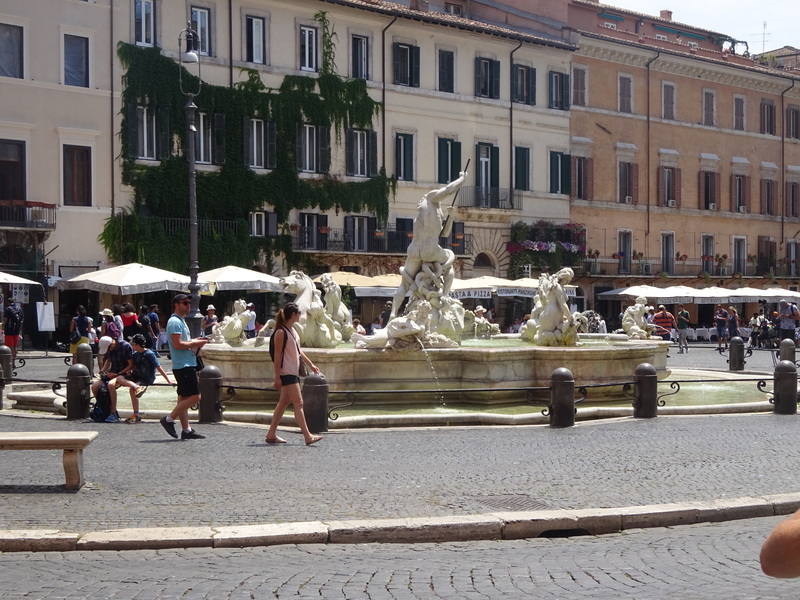 I stayed in a hotel opposite the Trevi Fountain for two nights (I was NOT paying the bill!). A lot of memories from that adventure as a young woman. It was a wonderful day and the 8 hours passed like 30 minutes! The couple on the tour was 24 years old – but they were great company. Our guide was fantastic – a perfect mix of charm, info, and fun – lovely guy! 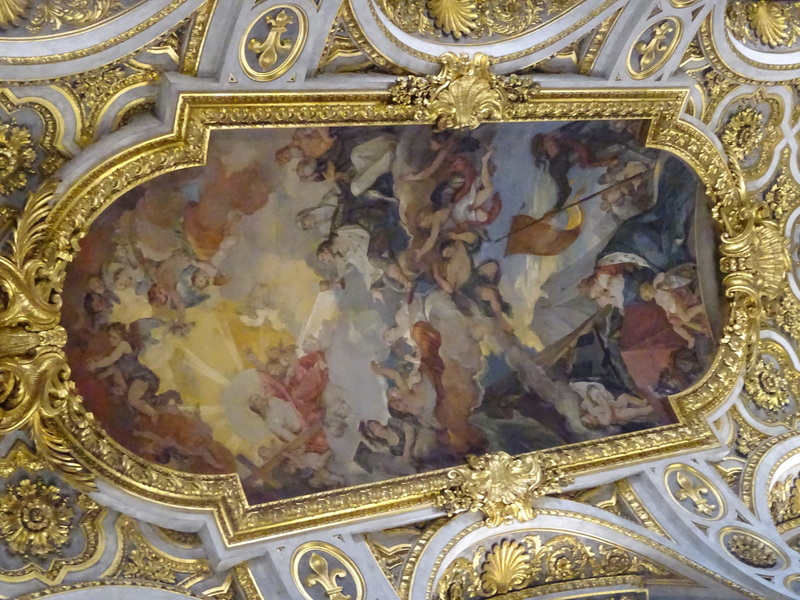 Last visit to Rome was over 7 years ago and I stayed in an entirely different neighborhood – it was autumn then. Of course everything is very expensive in the summer. I think traveling solo is a beautiful experience and an opportunity to be comfortable and forget yourself (if that’s ever possible) to focus on and relish the local culture and people. Rome’s truly the greatest and most beautiful city on earth. 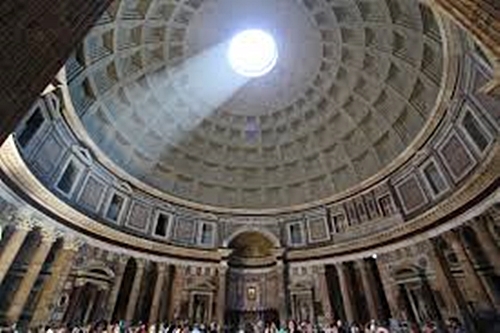 There is no other place like Rome as it offers everything a place can have.